Another of my near-namesakes bites the dust. 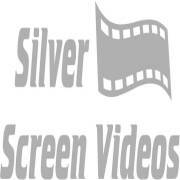 When I got ready to launch my first website, I was already selling on Ebay using Silver Screen Videos, but the domain www.silverscreenvideos.com was taken, so I picked Silver Screen Select (hence my bored name). Silverscreenvideo was also taken by one of the now defunct video stores. But Silver Screen Videos came available a few months later and I grabbed it. A few months ago, I got a notice from Network Solutions that Silver Screen Video was available, so I looked up what it would cost to get that as well. They wanted over $3,000 for it; needless to say I didn't pay that kind of money.